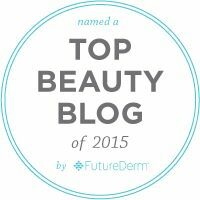 Is your skin holiday ready? This time of year, life can get crazy! The kids are in fifty different after school activities, work is nuts, you are dashing all over the place, trying to keep up with everything while shopping, decorating, planning and executing. Who has time to breathe? Or sleep? And all of that hurry up and hustle begins to show on our complexion. Our skin gets dry or too oily, rough, dull and loses it's brilliance and tone. When these signs begin to appear on our face, it is time to stop, block out a little time, turn off the ringer on our phone, kick the husband or partner and the kids, pets, homework and everything else out the door and take a little time to pamper, recharge and get back that healthy glow. 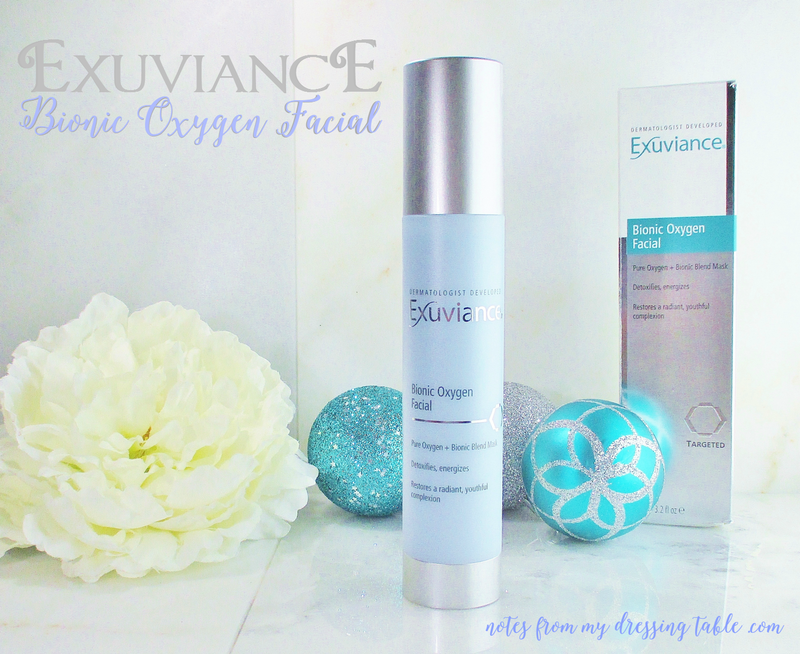 Exuviance Bionic Oxygen Facial with it's triple oxygenating blend is just the thing to deliver an infusion of pure oxygen to detoxify, brighten and restore a youthful glow to your complexion. Plus, just using the stuff is a refreshing, enjoyable experience. How perfect does that sound, right about now? Using the Exuviance Bionic Oxygen Facial Couldn't be easier or more pleasant. Simply pump a generous amount out of the bottle and gently massage onto dampened skin and watch the blue gel convert to a thick, white bubbly foam. 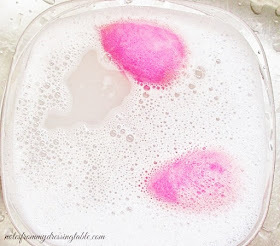 Sit back, relax and enjoy the tickly bubbles for a few minutes and allow the foam to disappear completely. Once the bubbles are gone, your treatment is finished. Rinse your face and pat dry with a soft towel. Now, look in the mirror and admire your brighter, more translucent, radiant complexion. Okay fair warning. 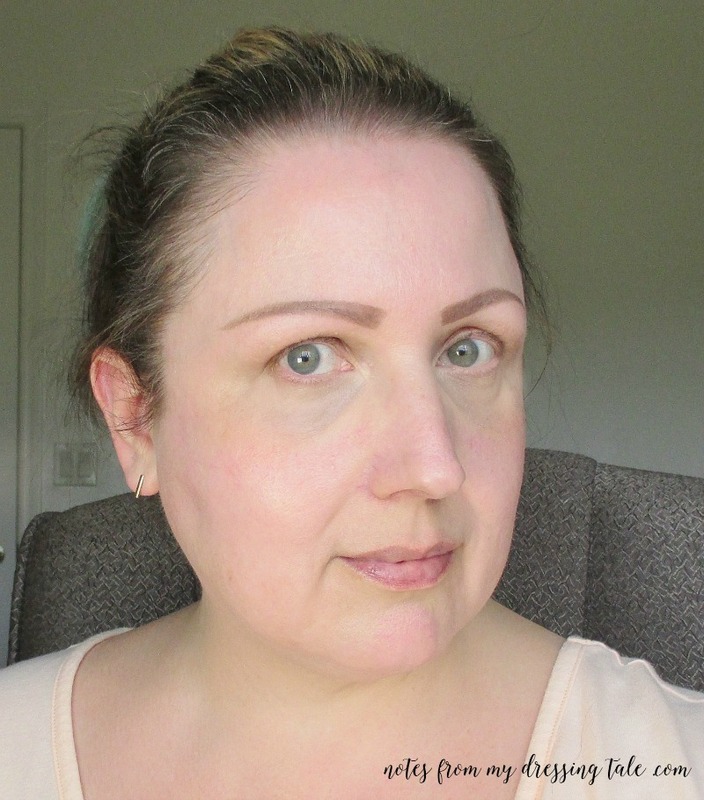 I'm sharing a makeup free (well mostly makeup free) pic so that you can see how my skin looks a few minutes after a treatment with this masque. In the interest of full disclosure, I created my brows and did something about my dark circles, because... Damn! Other than that, the only thing on my face is serums, moisturizer and lip balm. My skin isn't flawless. Not by a long shot but it's pretty good and the Exuviance Bionic Oxygen Facial gives it a nice boost, if I do say so, myself. I hope that the site of my old, unmadeup face wasn't too shocking. So, what do you think? 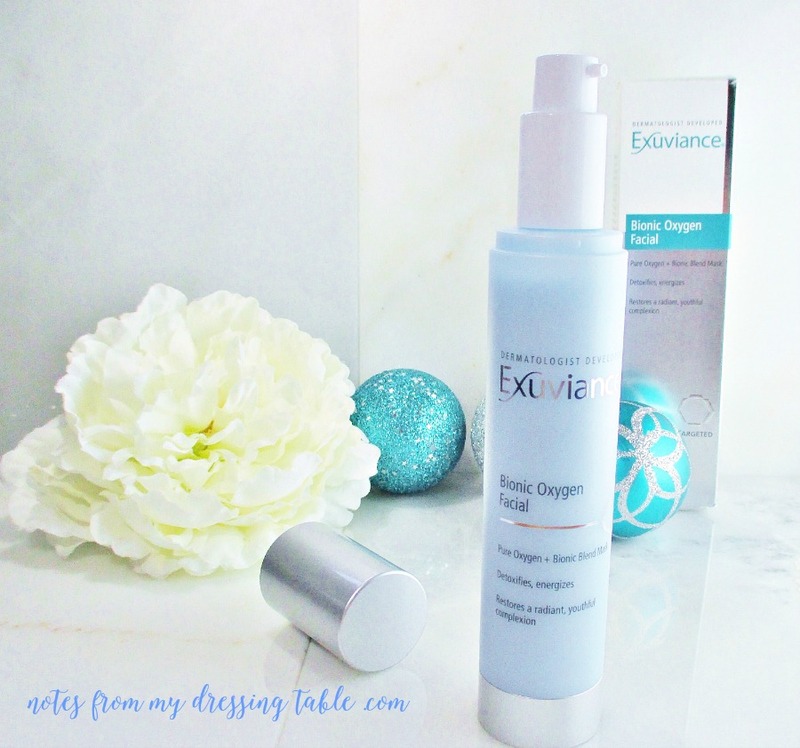 Does the Exuviance Bionic Oxygen Facial look like something that you would be interested in adding to your skin care arsenal? What are you doing to get your skin holiday ready?